Winter is here and as the cold weather encourages people to throw on more layers and bunker down to escape the wind and rain, it also encourages people to seek comfort in the food they eat. Nothing else (short of a pair of handknitted woollen socks) can comfort quite like a piping hot meal, and we must admit, having a bit of extra cheese helps too. Of course, gourmet burgers were always going to be on the list. The combination of top class meat, bread and cooking turns a simple burger into an uplifting experience, warming you from the inside. Australia is in the grips of burger mania, and you’d be silly not to jump on board for Winter. 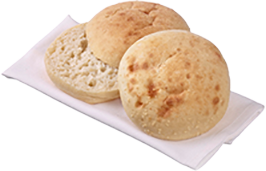 Consider using a different bun to your daytime menu – a soft Turkish roll may be a good twist for the late-night crowd. 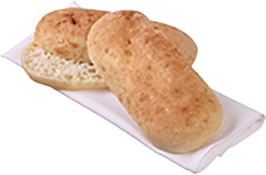 Add one to the menu (try some warming touches like melted cheese, hot sauces and soft toasted buns) and watch the soul-food-seekers flood in. Nothing beats pizza to chase away the winter blues. Keep it simple with thin bases (like Bazaar’s range of premade bases) and focus on the toppings. Less is more here, but make sure you use the best. And don’t skimp on the cheese. If you are yet to discover the joy that is a toastie made out of garlic bread then you haven’t lived. A perfect side for soup, an amazing comforting snack and a cheeky addition to a kids’ menu, a garlic bread toastie is so simple it should be a crime. 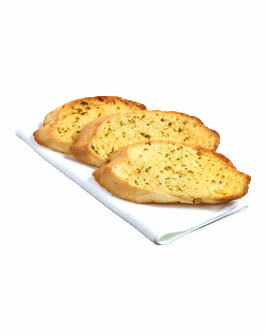 Just grab two AGB Garlic Slices, a slice of cheese, then grill and enjoy the garlicky cheesy goodness. When you ask people what their comfort food is, often they describe breakfasts from when they were a child. Perhaps it’s pancakes drizzled with maple syrup, decadent French toast with all the trimmings or a simple egg with toasted Turkish bread soldiers. Don’t underestimate the yearning for juvenile comfort food. As the brunch trend continues, consider offering some comforting, old fashioned options like this. You’ll be surprised how many adults will order it! If you’re considering creating a comfort food menu for the colder months, get in touch with us. 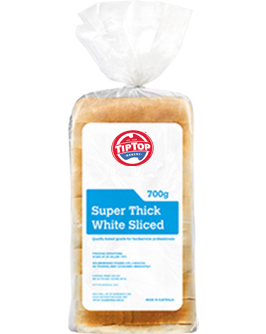 We have a huge range of products that will help make preparation quick and easy including AGB Garlic Slices, Tip Top Super Thick cut bread for French toast, Speedibake’s soft Turkish range for soldiers and a huge range of gourmet burger buns from Tip Top.